Okay, so here’s the deal: we’re well into the Christmas party season and you’ve got a full-on week of parties to go to. Some are formal work events. Some are casual get-togethers with friends. The challenge is your hair has to look different every night but appropriate for each occasion. Why? Because you want to look fabulous, of course. So we dug deep here at The Cutting Garden and our stylists have come up with a week’s worth of incredible hairstyles for you. Don’t worry if you have short hair and your style needs longer hair. We’re experts at applying hair extensions when you need them. 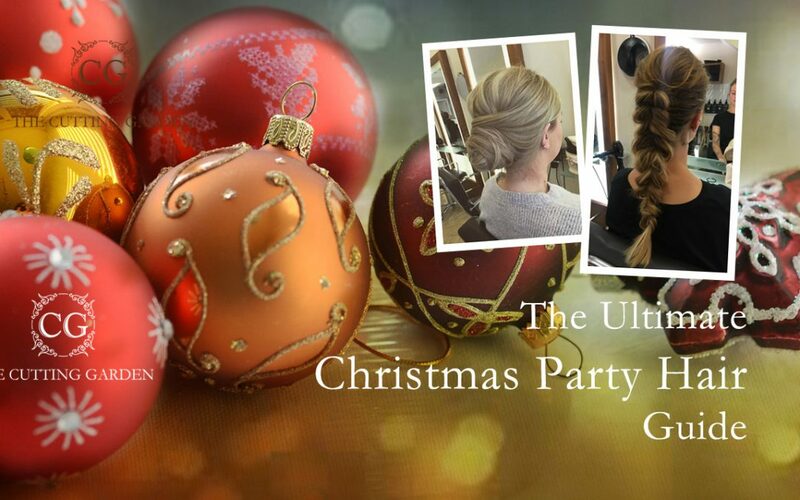 Here are your options for the ultimate Christmas party hair. Grab a glass of mulled wine and start reading. You’re starting the week’s parties off with dinner with your closest friends from work. 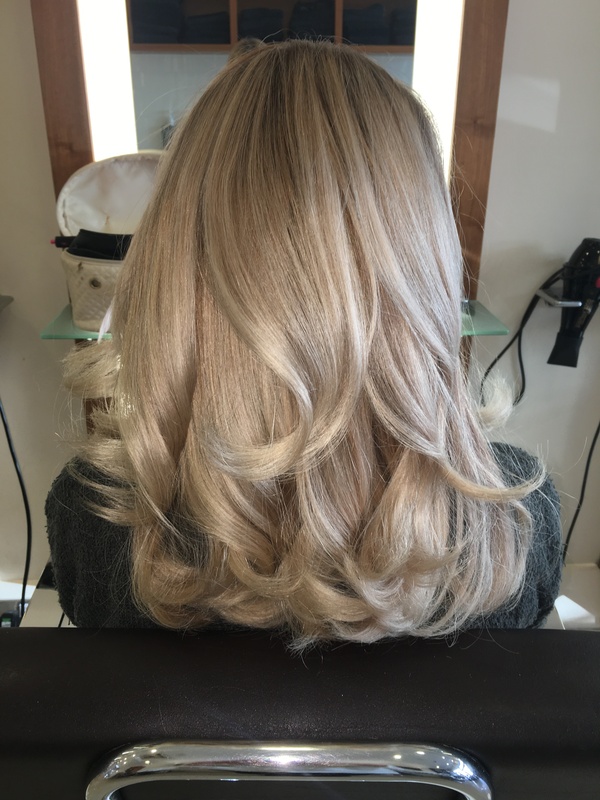 Treat your hair to a Big Bouncy blow dry. If you want to make a bold, friendly statement we specialise in them at The Cutting Garden. This style will last you a couple of days; perfect for a casual night out with friends, or even a night in with a special friend. 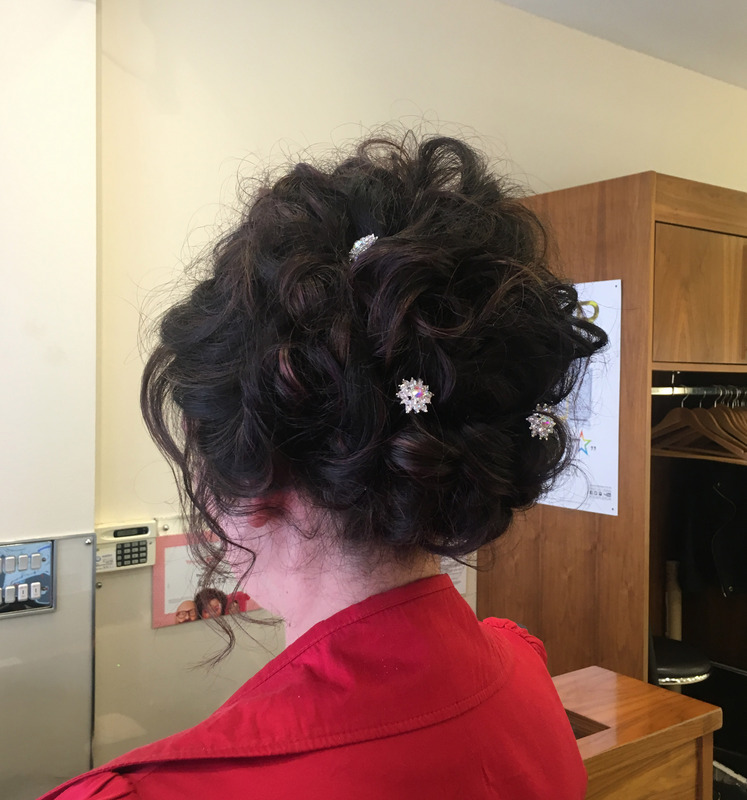 This beautiful up do is great for any Christmas Ball or formal events. With your hair in this style, it can finish off any outfit. A perfect example of hair up with added accessories to glam it up. Dress formal or casual and be confident that your hair looks great either way. It’s Wednesday and you’ve been invited to a party tonight; it’s a casual event but you still want to impress. Mermaid plaits are so in fashion right now. 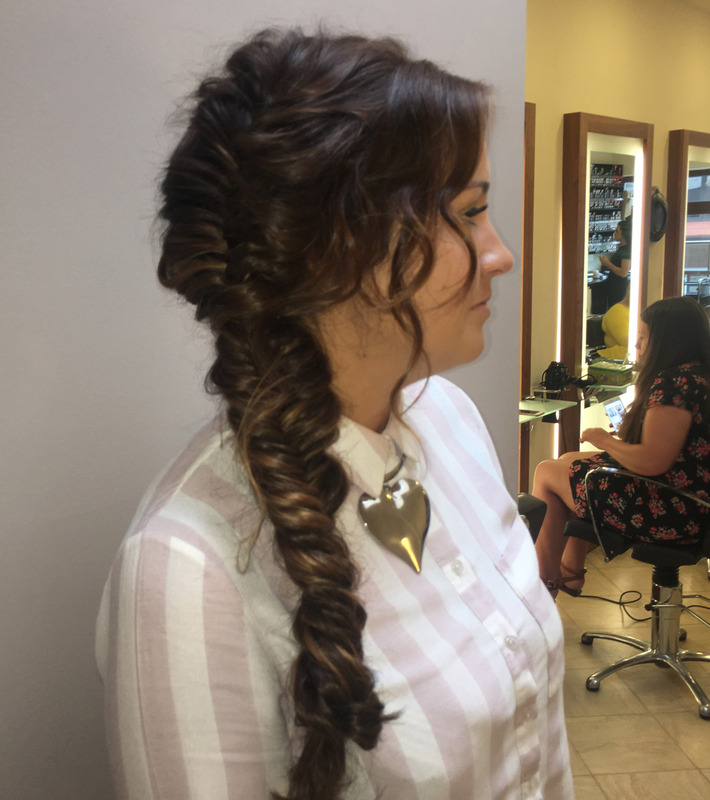 If you want a fresh look that is both elegant and contemporary you should definitely consider a mermaid plait. They are very simple and quick to do; brilliant for parties. It’s a formal evening do tonight, so important to look just right. Time to dress to impress and your hair has to match. 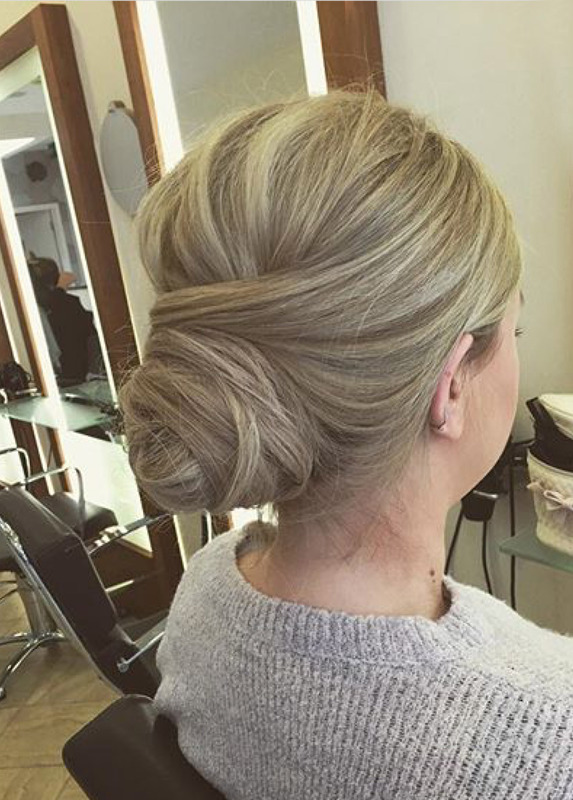 This classic hair up with a low bun is just the ticket. It suits a formal look and, what’s more, it will match that designer dress you have been saving for an occasion like this. You may be starting to feel a little tired now, but you’ve still got to look good for tonight’s formal do. What can you do? 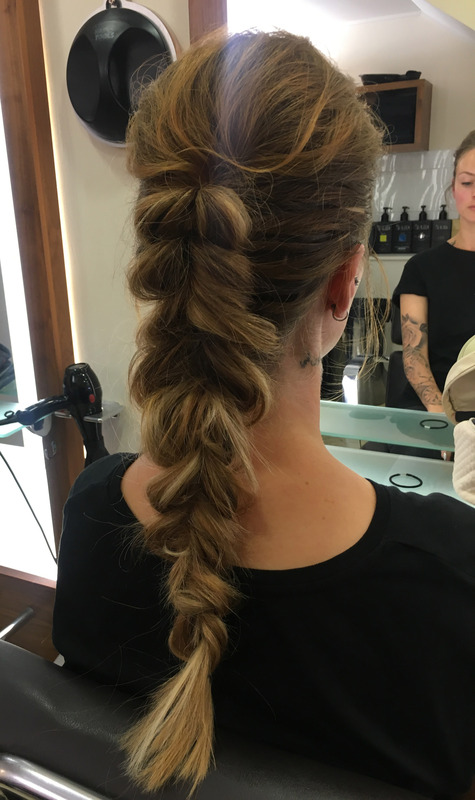 Easy, book a quick trip to The Cutting Garden and ask for a beautiful fishtail plait. This is a classy but fashionable look, perfect for tonight’s event. It’s Saturday night and the final night of your week of Christmas parties! This calls for your most special look and we are recommending another plait. This one is really current definitely a favourite in the salon right now. 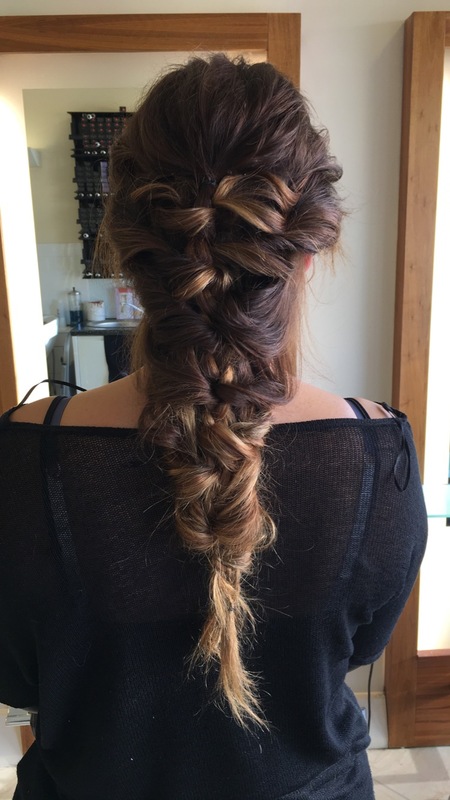 All our stylists voted this the most special of all our Christmas party hairstyles. We’d love to give your hair this look, whether it’s Saturday, Wednesday or any other day of the week. In any case, book a consultation and let us help you plan your Christmas party looks this year. You’ve been partying all week, it’s time to relax now. 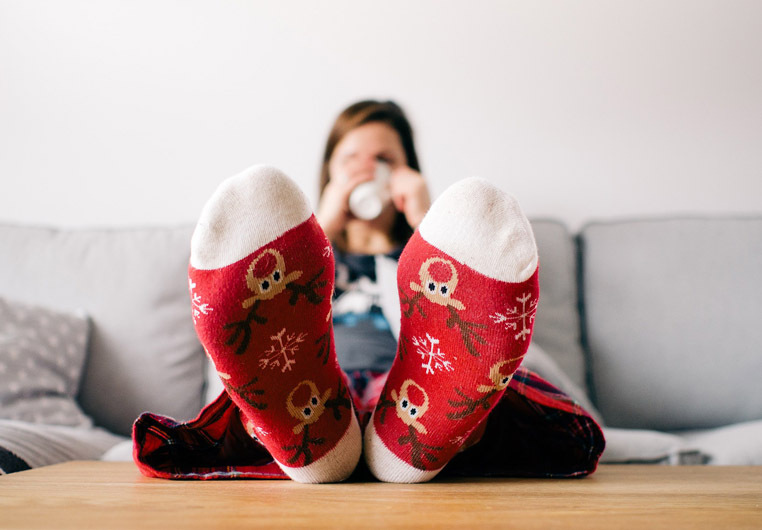 It’s time to put your feet up and cosy up on the sofa with a box of chocolates and a hot drink.